Joshua Bain is a freelance consultant to the FBI. Bain had been a U.S. military pilot who, after being a POW for 18 months in Vietnam, returned to America and enrolled in college at Berkley. As time went by, he met and fell in love with a young protestor who had joined the radical group, the Weathermen. When Bain learned that his girl was connected with a kidnapping, he sought a way out for her. In exchange for help in getting her away from the crime and free of prosecution, he assisted the FBI in solving the case. The series consists of a trilogy of adventures, although each one seem to have more than one plotline going through it which makes for interesting times figuring out why a character is doing what. These plots invariably involve the security section of the Bureau rather than criminal as the cases deal with sedition and terrorism and threats to the nation, making the series belong in this collection. As his cover for his work with the Bureau, Bain is the managing director of a small winery in California. Working there as foreman and handyman is Alan Hunt, a nomad who found a place he liked to work and a man he liked working with. The two men quickly grew into a friendship that would deepen into almost brotherhood with the dangers they would face together. Bain is a non-practicing Jew while Alan Hunt is a born-again Christian who struggles daily to follow the Bible's teachings. When tragedy strikes his friend at the the beginning of the series and the two seek answers to the events, his faith provides a rock on which the two can hold to, even when one doesn't believe. Intriguing is the idea that both would like to follow the commandment 'Thou Shalt Not Kill' but when the ungodly don't follow that rule, it can be hard. 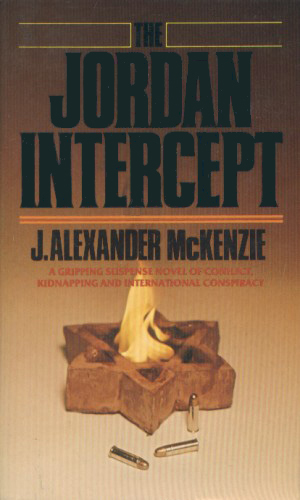 The murder of his girl friend who was carrying his child makes Joshua Bain ready to work with the Special Operations division of the FBI against the huge ETC corporation planning to take over the country. 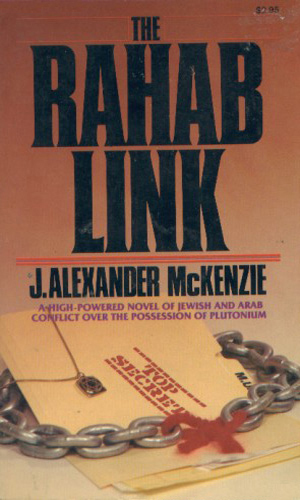 Both the American and Israeli government need the help of Joshua Bain and Alan Hunt to track down a missing shipment of plutonium whose disappearance is being blamed on the Israelis but might be the work of the Palestinians. As the search for the plutonium narrows, the paths of Bain and the ETC cross again as proof of an even greater conspiracy comes forth. It is clear that unless Bain and Hunt are very lucky, another world war was probable. When a Christian publishing house puts out a series, you can be certain that the main characters will be deeply involved in religion. What you have no way of knowing is whether the story will be any good. 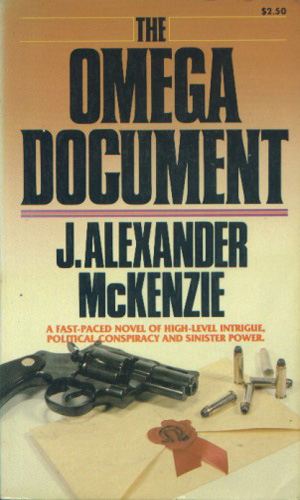 Luckily, the work of J. Alexander McKenzie is quite good and very enjoyable. I was fascinated to find a series that had a purpose of preaching while entertaining and to discover that it was able to do both without getting bogged down or too intense. The main character has his objectives to accomplish and the methods are often at odds with the beliefs of his partner. The fact that both are decent men make the conflict less disruptive. This is a good series.